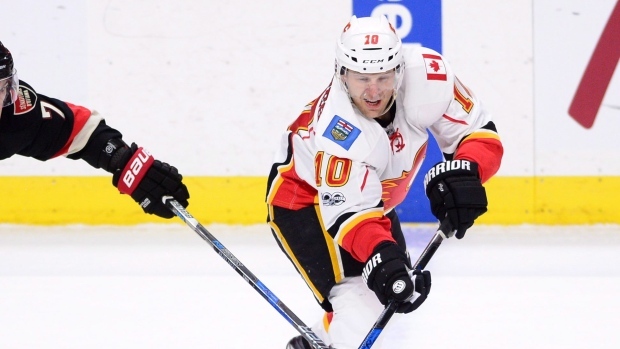 CALGARY — Veteran forward Kris Versteeg and the Calgary Flames agreed to a one-year contract on Thursday worth US$1.75 million. Versteeg spent last season with the Flames after signing with the team as a free agency in October of 2016. He scored 15 goals and added 22 assists over 69 games for Calgary. The 31-year-old forward has played 619 regular season games in the NHL over 10 seasons and has 146 goals, 204 assists and 368 penalty minutes in that time. Versteeg has 18 goals and 30 assists with 70 penalty minutes in 93 post-season games. The Lethbridge, Alta., native has won a pair of Stanley Cups with the Chicago Blackhawks in 2010 and 2015.